Sprint car champion Donny Schatz continues to make laps with the A4MP Engine. 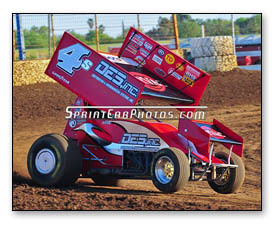 During the month of May, he used the motor in a weekly show at Huset's Speedway in Sioux Falls, S.D. The results were a second-place finish on a fast race track. Later, he used the engine in a NOSA event at Nodak Speedway in Minot, N.D., and recently raced with the organization in Devil's Lake, Minnesota. The goal is to continue making laps and putting the engine to the test. "We've been trying to race it as much as we can," said Schatz. "The goal is to get as many nights as we can on it. It's still performing really well. We are hoping to put another driver in the car and maybe get even more laps on this motor. My regular job makes it tough for me to race as much as I'd like to." 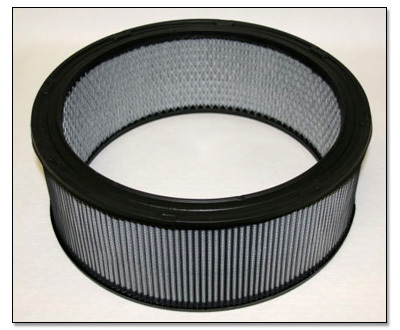 OTR Filters has developed a custom filter media to use with the A4MP engine. Ken Bayliss, Sales and Marketing for OTR Filters, is pleased to announce they can provide filters for racers to use with the new motor. OTR will not provide complete kits, but recommends filter housings from Moroso and a stud nut/dirt guard from Seals-It. For more information, please visit www.otrfilters.com or e-mail Ken Bayliss directly. The 2011 Engine Builder Application is available to download here. All prospective engine builders will need to complete the application, secure the appropriate bond and be approved by the A4MP directors in order to build motors that will be eligible to compete under the A4MP guidelines. The guidelines and rules of the Alternative 410 Motor Program (A4MP) have been approved by the A4MP organizing committee. The rulebook can be downloaded by clicking here. This rule book was updated on Jan. 7, 2011. Within the next few days, news regarding where the engine can be used in 2011 competition as well as a list of certified builders of the engine. In an effort to combat the shrinking fields of Sprint car teams that are competing at the weekly tracks and subsequently with the national touring associations, the Alternative 410 Motor Program (A4MP) group has been created. 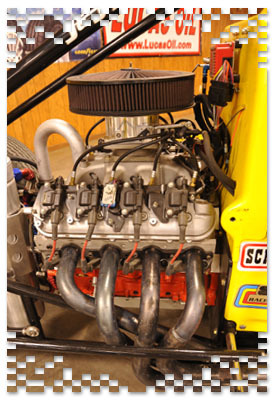 The group, with many years of experience in Sprint car racing, has outlined a potential option that is not designed to replace an existing program, rather offer a way for racers, that would otherwise not compete, blend into the current classes by using a competitive motor that works within their racing budgets. With the ever-changing marketplace in racing, its important to continue building a foundation to work from. Feedback tells us that cost to purchase and maintain new or used 410 engines is too high. Many teams also believe they cannot compete with the top funded teams. In light of those beliefs, the A4MP group has detailed a program that can help by lowering engine cost, both new and in terms of rebuild expenses and the frequency of rebuilds. It includes guidelines that limits evolution, and therefore additional cost, but will maintain equity and consistency. This program is targeted at current 410 race teams and aimed at assisting current motor builders. The overall success of this project will be measured by the overall car counts, both weekly and during special events in the future. A4MP has chosen the motor package outlined because of the high volume of production and after market engine components. The engine consists of specified components from GMs LS V8 engine family for both cost and uniformity. Additional components will be supplied from high volume after market suppliers. Engine builders will have some options in part choices as some are limited only by dimension, weight and material. The engine will fit in the current Sprint car chassis with only minor changes. Some of the same engine builders that currently build 410s will have the ability to build you one of the Alternative 410 Motors. By limiting the options in part choices, materials and modifications, there is a strong belief the motor has a better opportunity for national acceptance. 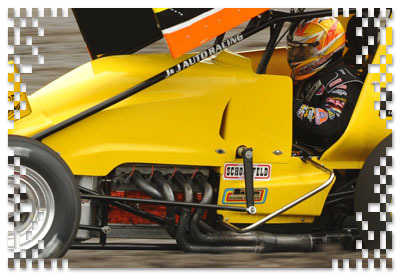 This program is designed to provide a competitive alternative for racers that are looking to drive Sprint cars on a weekly basis and also have the ability to compete in some national touring series events. The motors will be built following guidelines that are set to keep cost for the racer at a more affordable level. Guidelines are in place to keep motors equal. Anyone caught altering the components within the motor will face stiff financial repercussions. The long term goal for this program is to build larger car counts, bring new people into Sprint car racing and provide more racers an opportunity to compete. The motor configuration has limits such as: required part numbers and limited modifications. Check out the Engine Basics page for a complete list of mandatory parts and suggested components. The initial motor was built and tested at three different tracks: River Cites Speedway (Grand Forks, N.D.), a high banked quarter-mile track, Red River Valley Speedway (W. Fargo, N.D.), a semi-banked 3/8-mile oval, and Knoxville (Iowa) Raceway, a semi-banked half-mile. The motor competed in two weekly programs, an All-Star Circuit of Champions event and an International Invitational race during the Knoxville Nationals. The motor proved to be strong enough to be competitive at all three tracks. The goal for the motor is that it would be capable of racing 25-30 races with minimal maintenance before needing to be rebuilt.The group is excited that a number of tracks and groups are considering legalizing this motor for competition in 2011. Check our Racing page to find out where these motors will be allowed to race. We are hoping to not be regularly checking motors and making a profit from this aspect. Once a motor is built, the engine builder will request bonding plates and seals from the A4MP. Each engine builder will have a number code for identification and a plate number. All plate numbers will be listed on the website with date of completion, engine builder and owner information. The builder will sign a bond that states they will be liable to financial rep cussions if a motor built by them is found to be illegal. The A4MP realizes that there are many questions. We are trying to address things the best we can, but also realize there things that will evolve with the program. We would ask that you direct questions specifically about the motor to Ron Shaver, please put your questions in writing and e-mail him here. If you are a promoter or track operator that has questions about making this package legal with your group or track, please contact Danny Schatz.